Tangled and True: love day. Can we buy ourselves a Valentine's Day present? My favorite part about a special occasion is being able to plan a special menu (or going out to eat.) This would make the process of cooking in the kitchen very fun. 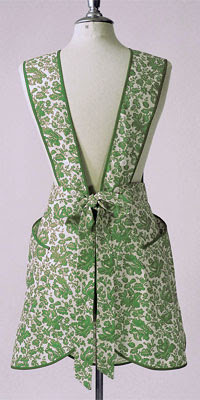 Need a perfect excuse to put on that new apron? (If we're being hopeful) Tangy Three Bean Soup sounds DELICIOUS! Crusty whole grain bread, for serving. 2. Stir in the relish and parsley and turn off the heat. Discard the bay leaf. Top the "stoup" with the dill sprigs and serve with bread. Tip: serve the stoup with a dollop of sour cream. Kelli, this post just made me happy. Love the card. I'd pick this card over hearts and lace any day. Apron is too cute. The soup sounds delish. I don't know if I've ever seen dill sprigs before. Definitely the season for soups over in London! It's actually raining today so I would love to make soup and I made a potato white cheddar soup last night. So, I'm in for this one. Yums. Your posts are making me hungry and I just ate lunch.